The Dunlop Revolution NT replacement grip is best suited to players seeking control, feel and precision. This ultra-dry performance grip offers a non-slip surface for added comfort and a firm hold and a copper base layer reduces unwanted vibrations. Its design is inspired by the skin of the sand viper and a perforated PU construction provides excellent moisture absorption. for submitting product information about Dunlop Revolution NT Replacement Grip We aim to answer all questions within 2-3 days. 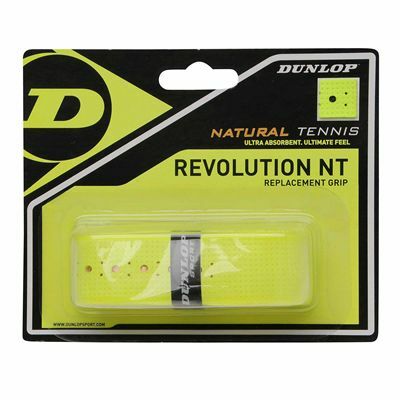 for submitting product information about Dunlop Revolution NT Replacement Grip. We aim to answer all questions within 2-3 days. If you provided your name and email address, we will email you as soon as the answer is published. for submitting product review about Dunlop Revolution NT Replacement Grip.